A beloved holiday destination for generations of New Zealanders, Mt Maunganui combines everything we love about summer with the luxuries of cosmopolitan life. Enjoy the country’s best beach, stylish cafes, restaurants, bars and boutique shops. Our Mount Maunganui team takes the time to listen. Understanding our client’s individual needs and building genuine personal relationships is key. We build our marketing campaigns based on your needs and wants, and we use modern technology and quality tools to assist in the sale of your home. Harcourts ensure maximum National and International exposure by being a part of one of New Zealand’s largest, most innovative and most trusted real estate companies- Harcourts. 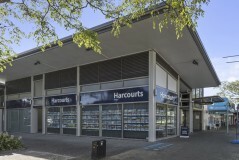 Harcourts branches have access to in-house auction experts, excellent marketing tools and resources, industry leading apps and the ability to market properties across the entire city and to all 180+ branches throughout New Zealand.